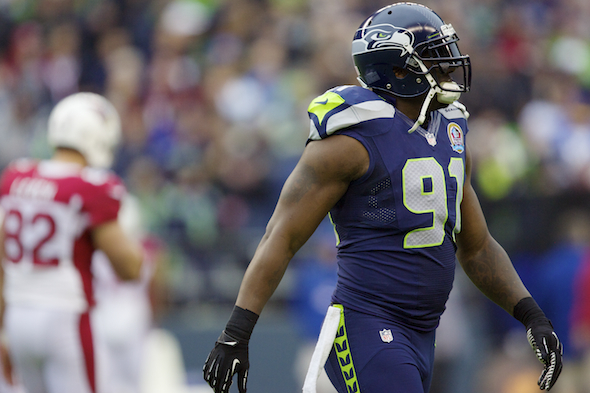 The Seahawks will start only one player, DE Chris Clemons, over 30 when they play Buffalo Sunday in Toronto. Carroll says it’s his youngest pro team. The latter two are subjective evaluations that are seemingly being borne out by improved play and an 8-5 record that is inducing numerous national websites and pundits to list the Seahawks as trendy Super Bowl darkhorses. Because of the injury absences of CB Marcus Trufant (31) and LB Leroy Hill (30), the Seahawks, in their 22 scrimmage positions, started the past two games just a single player over 30 — DE Chris Clemons, 31. Besides those three, the Seahawks’ active roster has only four others on the creaky side of 30 — P Jon Ryan, 32; and reserves RB Leon Washington, LB Heath Farwell and OL Frank Omiyale, all 30. Only two others are even 29 — FB Michael Robinson and OL Paul McQuistan. The virtue of youth has always been the highest priority in team-building under Carroll and GM John Schneider. NFL experience, in their view, is trumped by the speed, quickness and energy of younger, less injured players. It’s why they try to hoard draft choices more than most teams. The Seahawks have 24 Seattle draftees on their ever-churning roster, 19 from their own drafts of the past three seasons. The only remaining players from the 2005 team that went to the Super Bowl, Trufant and Hill, are questionable for Sunday’s game in Toronto against Buffalo. Carroll was especially unafraid to put rookies in charge of the offensive and defensive units. Of course, QB Russell Wilson, who just turned 24, runs the offense. Another rookie, second-round draft choice Bobby Wagner, 22, is the leader of the defense at middle linebacker. Reliance on youth is also helpful with payroll, allowing the Seahawks more room under the cap to sign WR Sidney Rice, TE Zach Miller, QB Matt Flynn and DLs Alan Branch and Jason Jones, the only unrestricted veteran free agents on the roster. “We’re a really young team like we had in college days,” Carroll said. “I think what sets us apart right now is that we’re a very athletic team that also has a really good feeling about each other. They’re tight and close. We have a very cohesive group. That’s been very consistent. The kids have accomplished a few things, but still need to make the playoffs before anointment can begin. But they are making a compelling argument that experience is overrated. Experience is most valuable on the offensive line, the team within the team. A couple more years playing together should help forge them into one of the better units in the league.